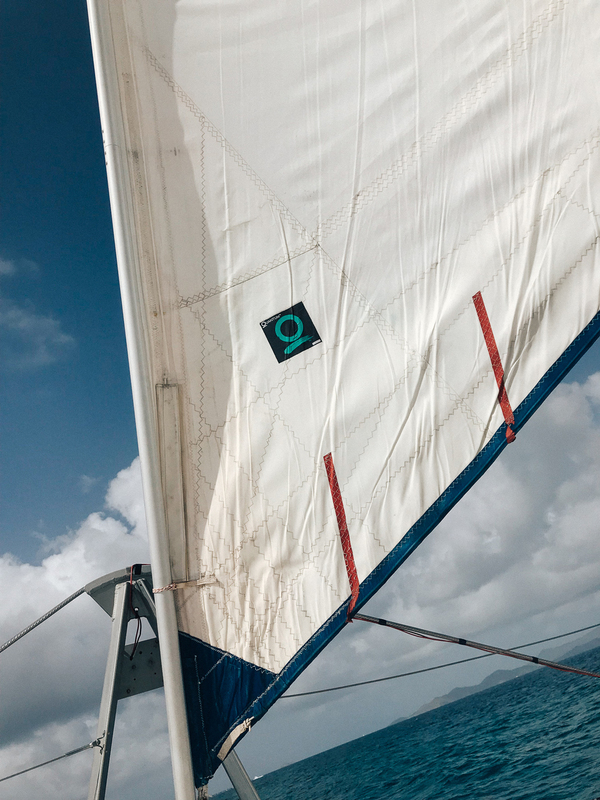 As someone who grew up in a very landlocked state (hello Nevada desert), the idea of sailing has always fascinated me. The open ocean at your beckon call, allowing the wind to literally take you where it wills, the sway of the water rocking you to sleep at night. Admittedly, I’ve gone on large scale cruises before and of course, sailboats for the afternoon with friends of friends who had boats (note to self: make more friends who have boats!) but I’ve never sailed on an actual yacht. Naturally, when The Moorings team invited me on one of the chartered 5800 yacht cruises through the British Virgin Islands, I had to 1.) pinch myself and 2.) start packing! 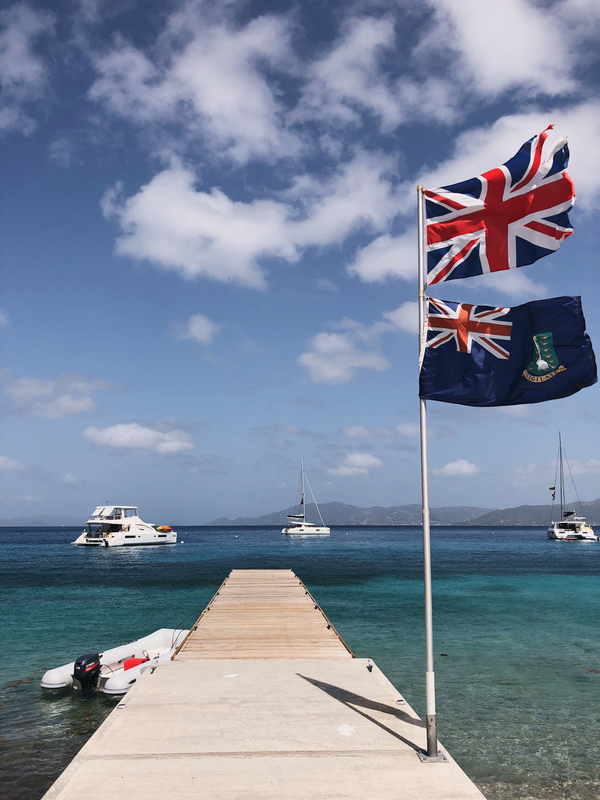 Despite hopping around the Caribbean quite a bit the past few years since moving to the East Coast, I haven’t spent much time in the British Virgin Islands specifically, so I was excited for the chance to experience it as part of such an intimate sailing experience. By intimate I mean, the yacht comfortably fits 11 to 12 people, three of whom were our small but mighty crew: one fearless captain, Martin, one amazing chef, Katie, and the friendliest stew ever, Kay (who makes an amazing BVI painkiller cocktail). We had 5 full days at sea ahead of us, with plenty of islands to stop off at along the way, so each day started early with a coffee at sunrise, plenty of swimming and sunshine filled naps in between, and ended with sunset cocktails on our top deck. If it sounds like I’m describing a scene from The Talented Mr. Ripley (minus the whole messy homicide plot twists), then we’re on the same page — I felt like Gwyneth Paltrow at times, and even donned my head scarf most days as a sartorial nod to her character. 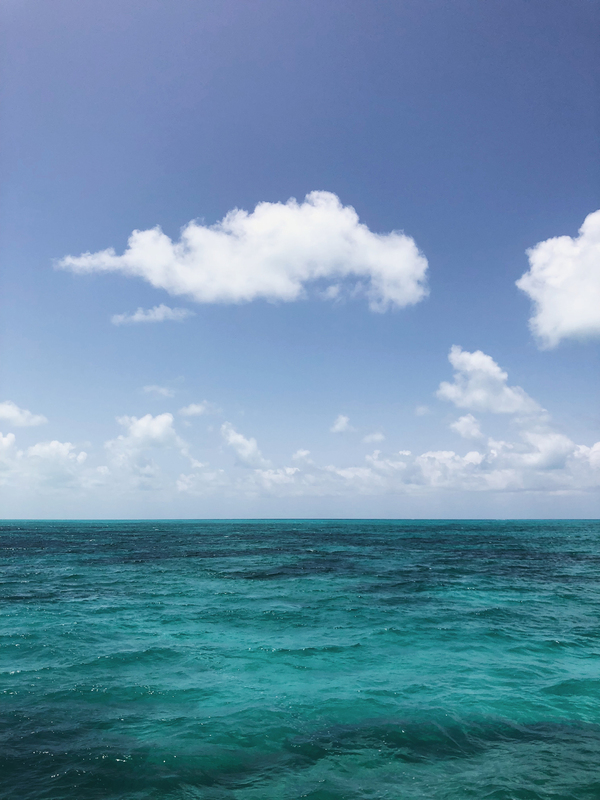 I’ll detail our exact island itinerary below, including everything I packed for the trip — but just wanted to underscore what an incredible experience it all was. Our crew made us feel instantly at home, we couldn’t have asked for better weather and while the aftermath of last season’s hurricanes is still apparent on most of the islands, it was amazing to see the communities there banding together to rebuild, and to know that, bringing tourism back to life in these areas is the best remedy for a speedy recovery. Huge thank you to The Moorings team for having Nora and I — it was just the dose of Vitamin D we needed! And if you’re considering a similar trip yourself, I cannot recommend The Moorings enough! 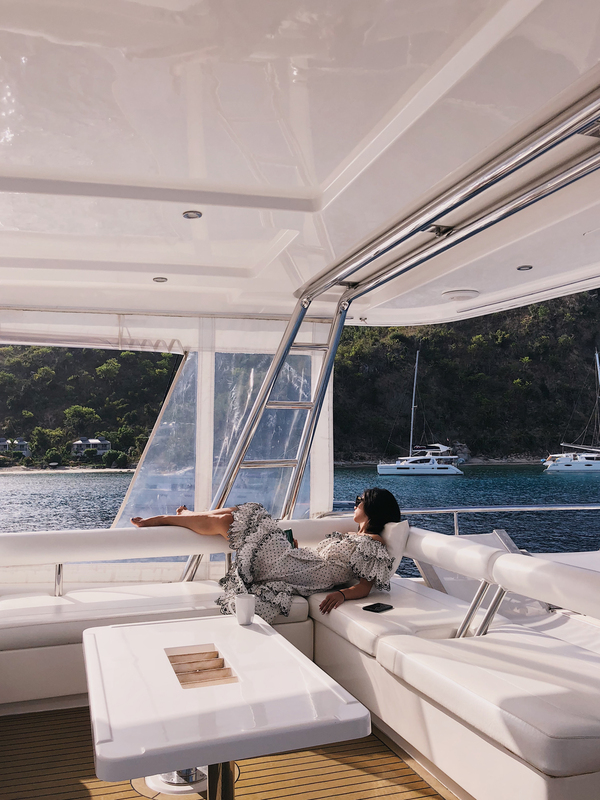 They offer a wide variety of customized charters through the BVI, Thailand and Croatia to name a few, and when split amongst a group of friends, it actually is quite reasonably priced, making for a really unique vacation experience (calling all brides-to-be, perhaps?). 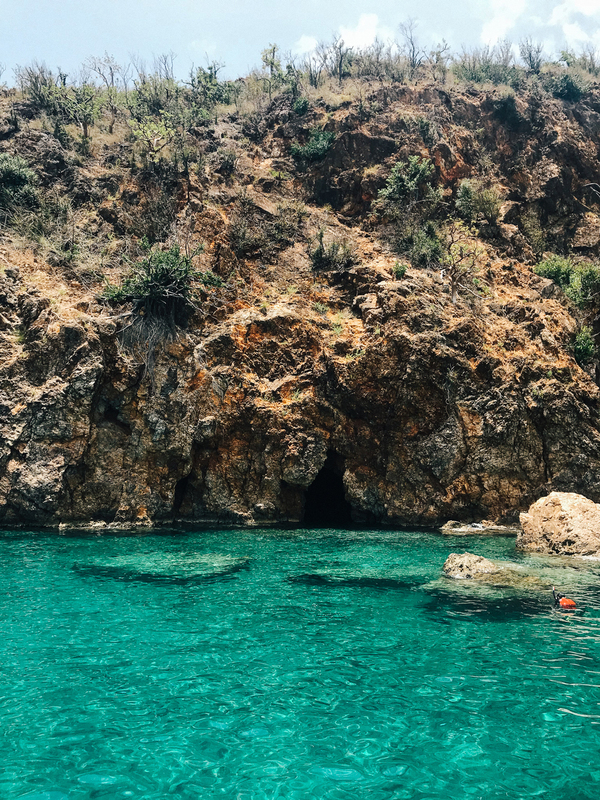 Keep reading for our exact island itinerary! It's been years since I've ventured into crochet bikini territory, mainly because they're always a bit tricky when it comes to getting them wet. This one my Maiyo, however, is a new favorite, primarily due to that cute belt! 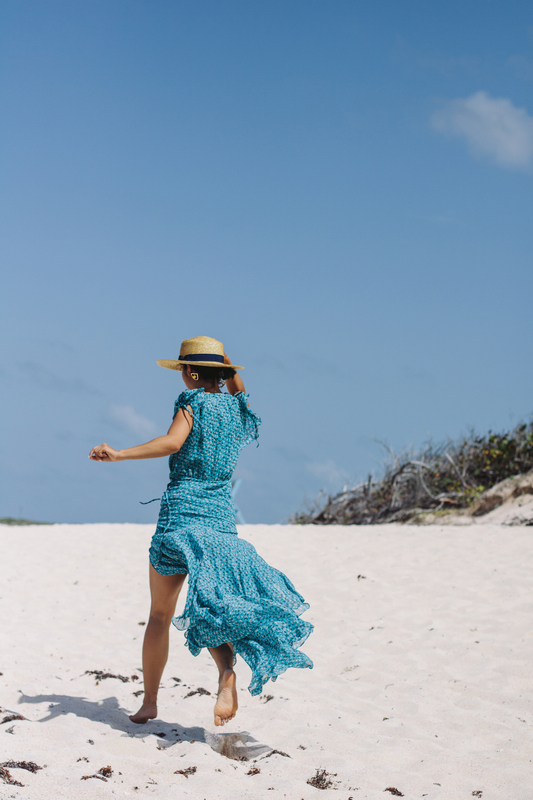 I wore this during our trip for a morning of walking around on the beach, so I'd recommend it as a lounging bikini (as opposed to a let's say surfing bikini), if you're thinking of taking the crochet bikini dive yourself. My only thing to note is that the small (especially for tops) runs big and if you're small chested like me, you might find yourself with extra fabric. 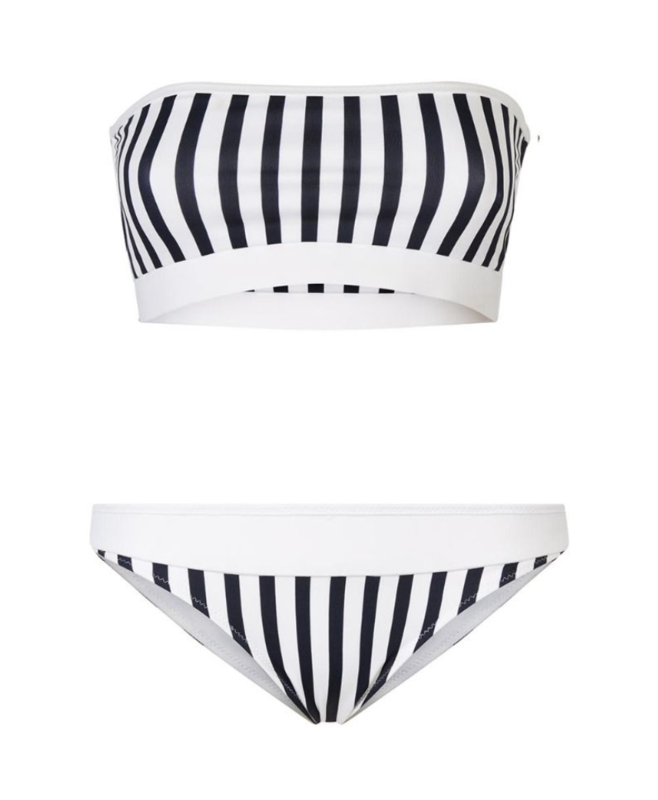 I picked up this bikini from one of my favorite vacation shops in the West Village, Sunni Spencer. She has the best assortment of jetset essentials and the minute I spotted this striped number, I immediately thought how perfect it would be for surfing and paddle boarding in, which is exactly what I did. Plus, the top alone would make for a cute crop top paired with a higher waisted skirt. Saturday, June 2: Flew from New York to San Juan, Puerto Rico. Then from San Juan to Road Town, Tortola in the British Virgin Islands. Checked in at the Moorings Marina for the afternoon and slept on the boat docked for the evening. Sunday, June 3: Early departure from the Marina, heading straight for Norman Island to snorkel in and around the infamous Indians formation and nearby caves. Stopped off at Pirate’s Bight restaurant for some afternoon drinks and naps on the beach. Monday, June 4: Headed to Cooper Island, which is known for their beautiful, family-run, eco-resort. Adorable bungalow rooms and white sand beaches. 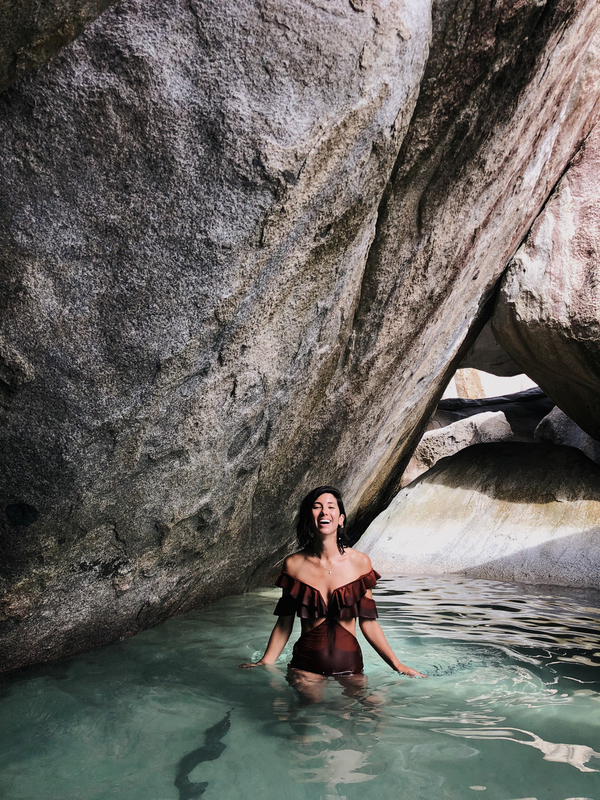 Then hopped over to Virgin Gorda, where we explored the Baths, a collection of boulders that have piled together to make natural pool formations, including the most famous one, known as the Cathedral (for the dramatic, overhead lighting). From there, we sailed up the North Sound to spend the night at Leverick Bay. Tuesday, June 5: Early morning start to begin the trek out to Anegada (affectionately known as the ‘end of the world’). 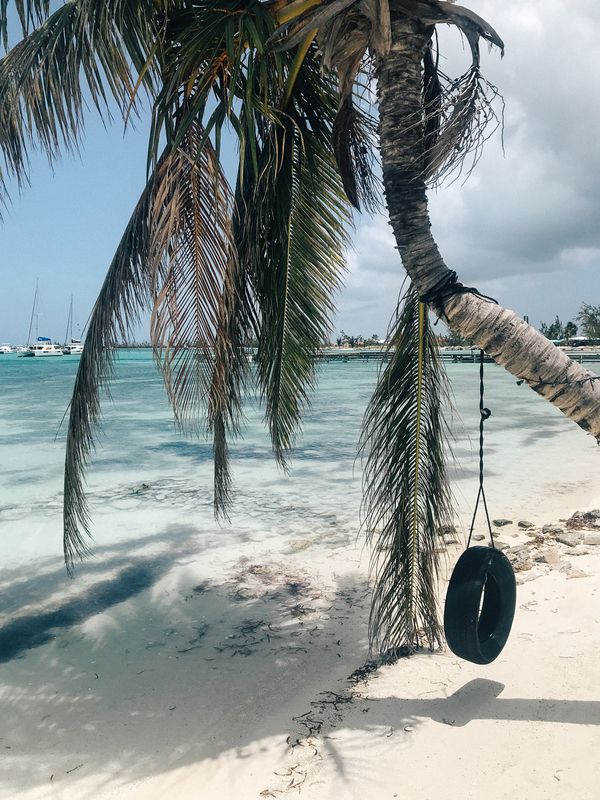 Unlike the other islands in the area, which boast a rockier, hillier landscape, Anegada is completely flat, so as you approach it via boat, it comes into view almost like a mirage, the palm trees literally the only thing giving the land mass any tangible shape. 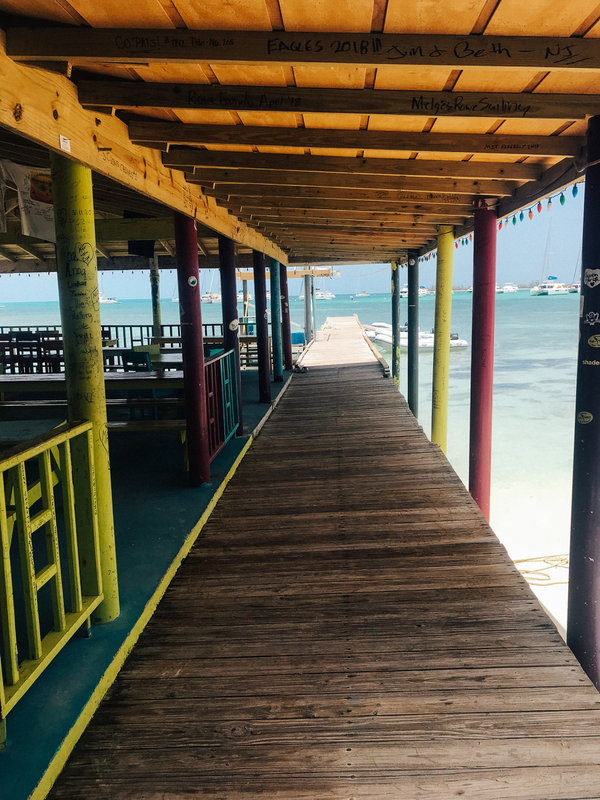 We spent most of the day here, swimming and snorkeling during the day, before enjoying a delicious lobster dinner on shore at the Cow Wreck Beach Bar & Grill. Wednesday, June 6: Sailed from Anegada to Jost van Dyke, where we spent most of the day at Soggy Dollar Bar (the birthplace of the infamous painkiller cocktail!) and then at Foxy’s in the evening to watch Game 3 of the NBA Finals (Woot! Go Warriors!). 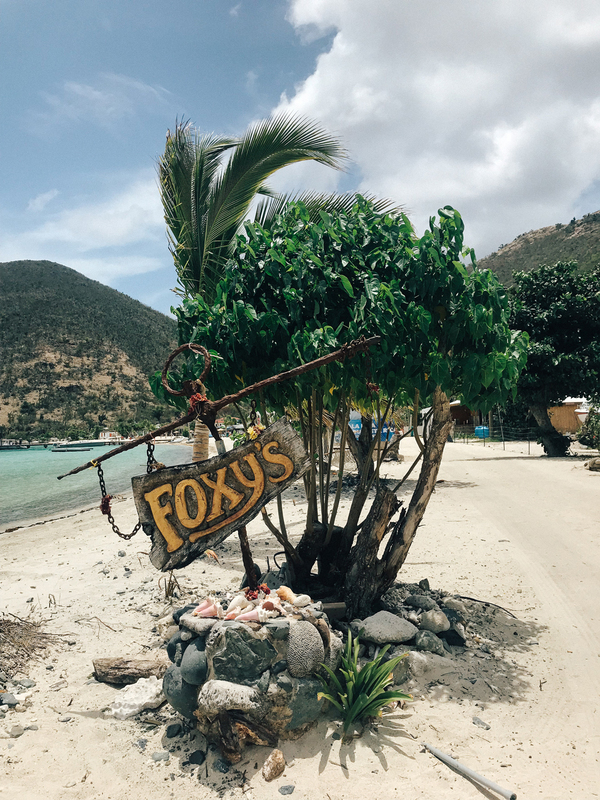 Thursday, June 7: Sailed from Jost van Dyke to Peter Island, where we spent part of the day snorkeling around, paddle boarding and eventually winding up at the famous (and now reopened!) Willy T’s barge bar. The bar itself is an actual barge, with two decks — and a diving platform on the top deck, which we certainly utilized a few times! 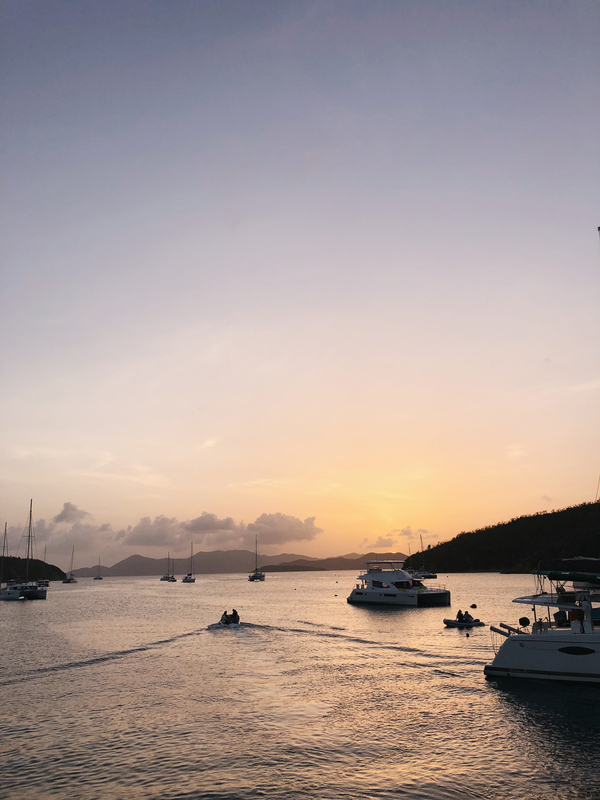 We end the day by sailing back to Tortola, eventually docking for the evening at the Marina. Friday, June 8: Head back home with a new tan and lots of photos! Is there another brand that screams summer as much as Zimmermann? I think not. When you hail from sunny Australia, I suppose it's in your brand DNA to create summer-ready clothes, year round. 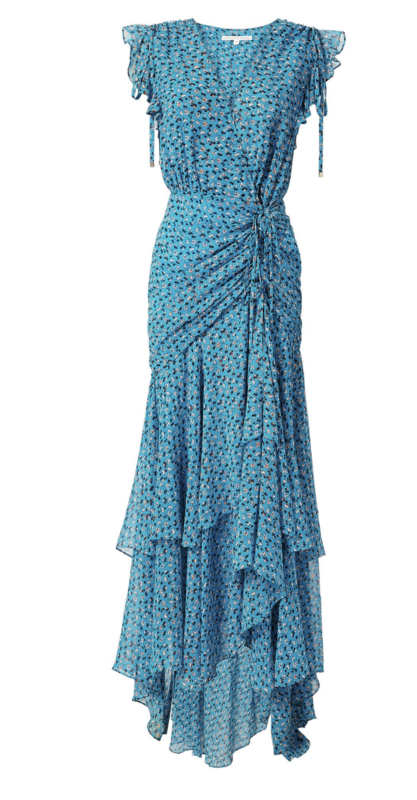 I love this off the shoulder dress, perfect for throwing over your bathing suit during the day, but works just as well for evening events with the right pair of strappy sandal heels and perhaps a leather belt to cinch your waistline a bit more. 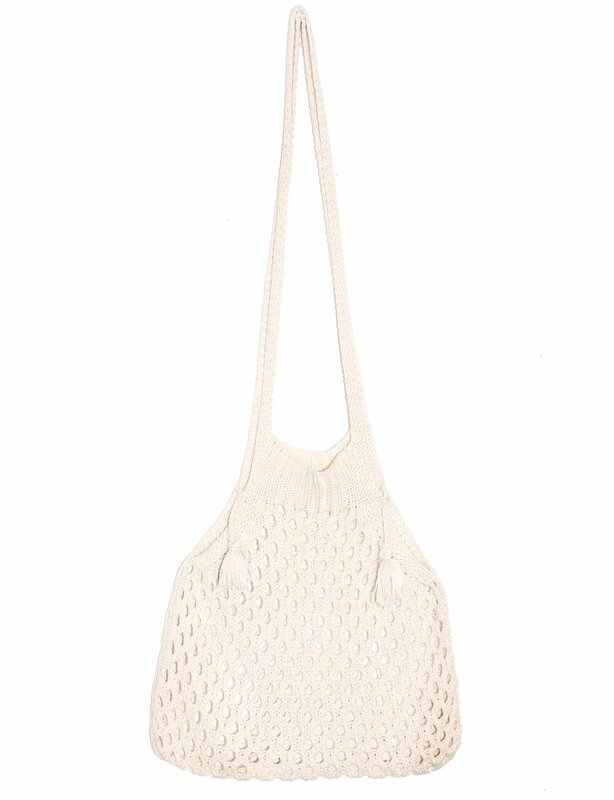 I toted this little knit fisherman bag for most of the trip. Easy vacation bag for throwing all your boat essentials in: sunscreen, sunglasses and a bottle of water! If you guys recall, I'm no stranger to the Heidi Klein brand. I was first introduced a few summers ago on a trip to St. Lucia and I've been hooked on their swimwear since! This little bandeau bikini number embodies everything I love about the brand: it's comfortable, perfect for water sports (hence all the diving I did in it) and it's reversible! The other side is white. 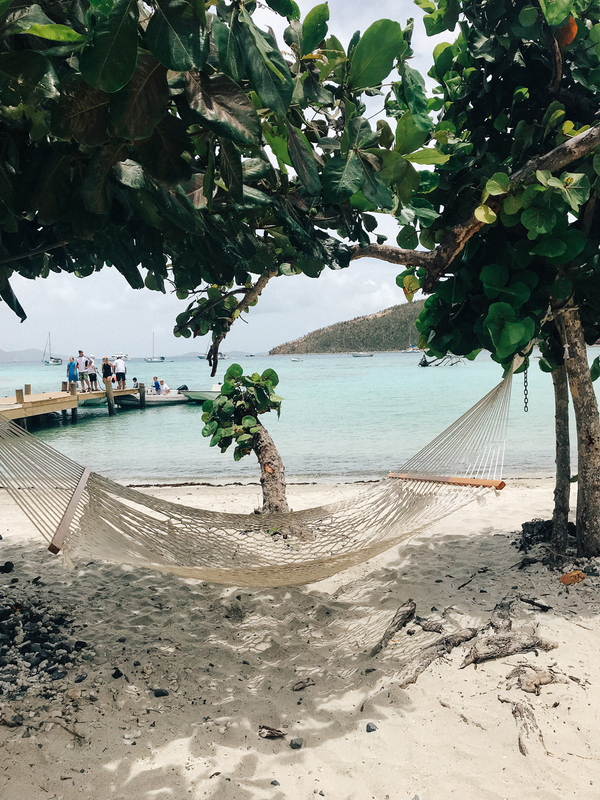 Before we headed to the Baths on the island of Virgin Gorda, our PR host for the trip, Anna, told me to save my best bathing suit for this exact spot. 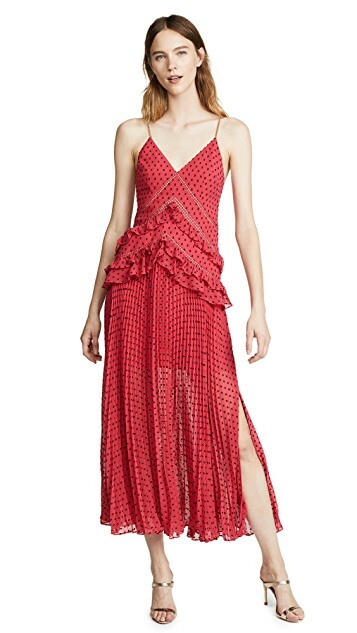 I immediately reserved this Zimmermann number in mind. 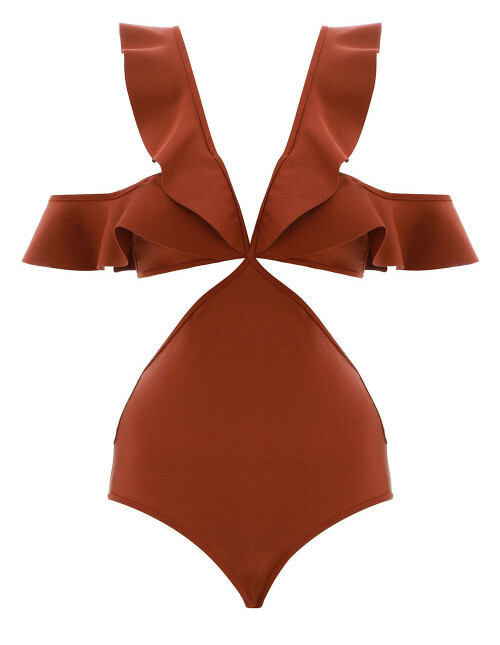 The color is a beautiful rust (and unlike anything else I own in my lineup of swimwear) and the sleeves are just so statement worthy. I've been eyeing this Veronica Beard dress for what feels like AGES. I'm so glad I was able to style it for this trip, particularly as its blue color was just TOO perfect with the shades of the waters we were sailing. True to form, the Veronica's nailed it with this dress -- just the right amount of ladylike ruffles with va va voom cinching and slit action. Let's say it all together here: SPF isn't enough. 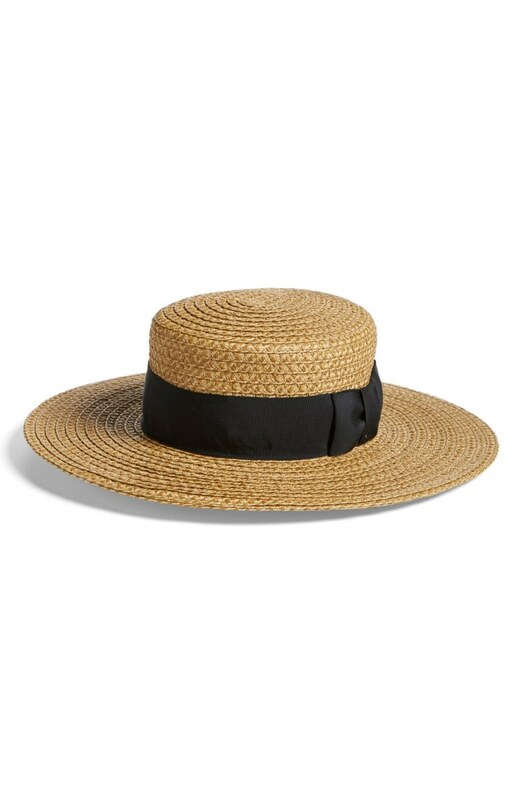 You need a hat on vacation. This particular hat I'm wearing here is from Marine Layer (it's now sold out), but I encourage you all to bring a wide brim hat on your next trip. I used this guy to pretty much put over my face every time we laid out in the sun. 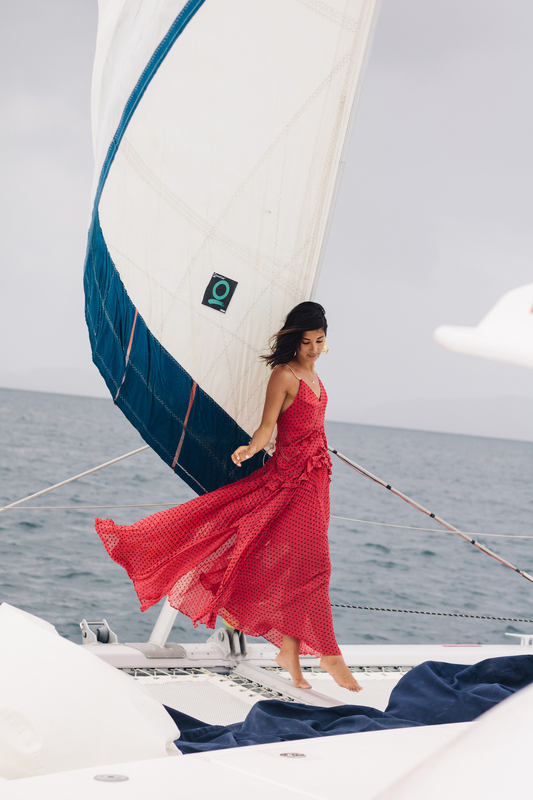 Full disclosure: We may have asked our captain to put up the sails specifically so we could get this exact shot in this Self Portrait dress. Luckily, Martin was a good sport about it and happily obliged. 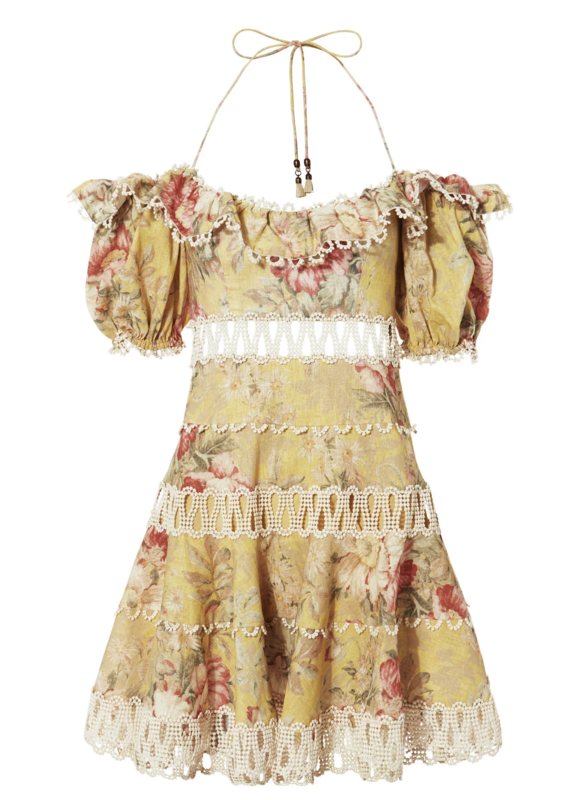 This dress is just too dreamy -- I especially love the gold chain straps to it. 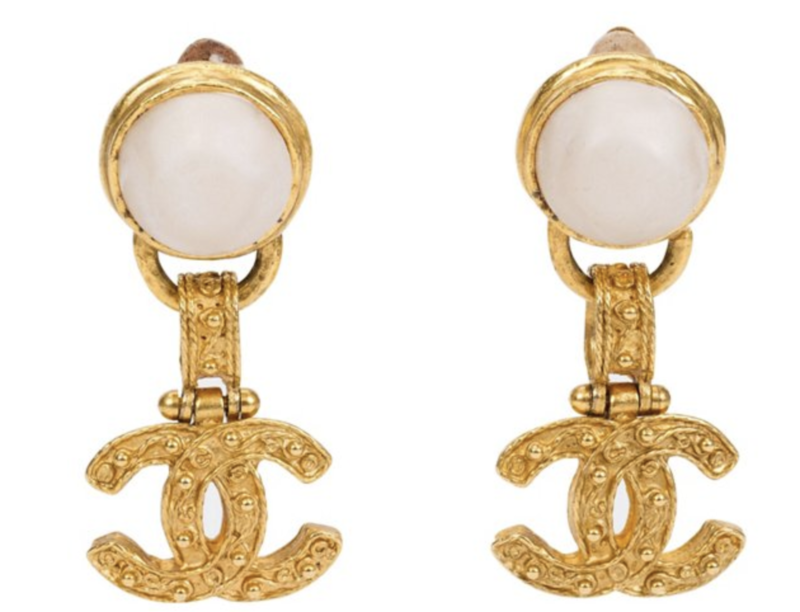 There's something so Elizabeth Taylor about wearing your biggest and most statement worthy earrings on tropical vacation, isn't there? I like to think Liz would give her nod of approval to my styling here. Ah, yes. Zimmermann strikes again. Are you surprised? 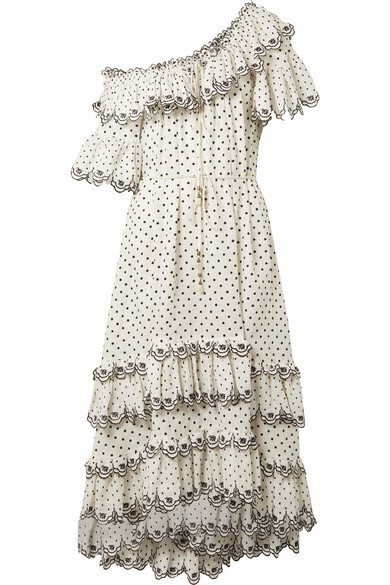 This dress is just so fun and flirty, and while I normally don't opt for mini dresses, when Zimmermann makes one like this with just too many pretty details, I just had to give in. 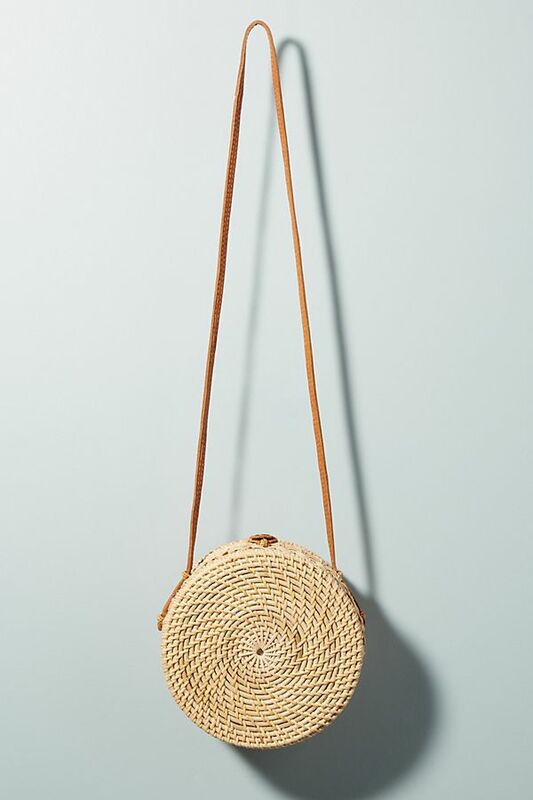 Aside from my knit fisherman bag, this little crossbody bag was my next go-to. I brought this ashore with me for most of our excursions on land. Huge thanks to The Moorings team for having us! We had a blast! 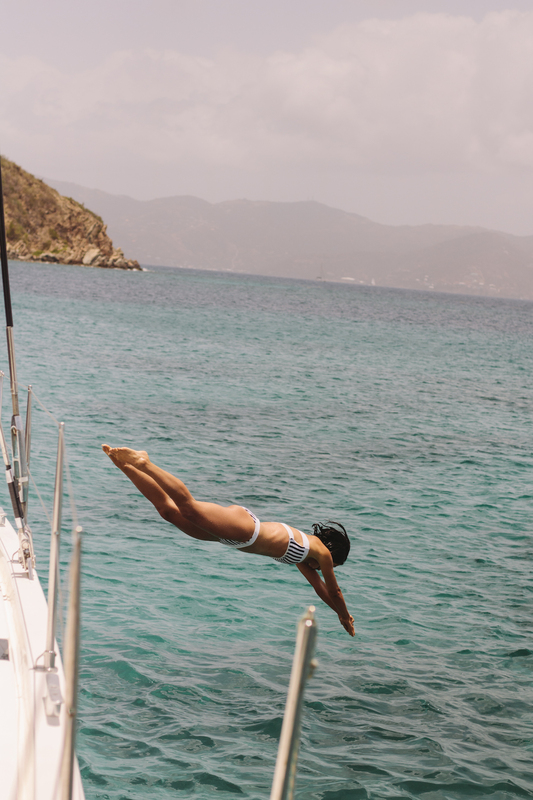 Style, Travel and british virgin islands, packing tips, travel, vacation. Can you please share the details on the pink, black, and white bikini? It’s only shown in one shot but it looks super cute! Thanks. Love your photos! I visited there a few years ago and wish we had had more time to explore! WHAT A DREAM! This gorgeous landscape, your styling with the dramatic dresses, the shots of the water, man, I need a yacht vacation stat. This may be one of my favorite posts you’ve ever done. These photos (and hello your body!) are AMAZING! Need all these dresses and swimsuits! You guys did a lot during your time there! It looks so beautiful and omg girl, your body is AMAZING!! What gorgeous photos (go Nora!) and styling. Love that you can do glam with salt in your locks and no hairdryer for a week. Gorgeous! Loved traveling with you two. Oh sweetie, mind boggling post with all those leggy shots, damn!!! <a href=” Beach Jewelry ”> Anchor Text and it’s the bomb!